Pests, such as insects and rodents, are not only a nuisance but can also wreak havoc on the valuable possessions in your storage unit. No matter how clean and organized you keep your unit, any open gap is an invitation for tiny critters to enter. Rats can fit through a crack the size of a quarter, while mice can squeeze through holes as small as a dime. 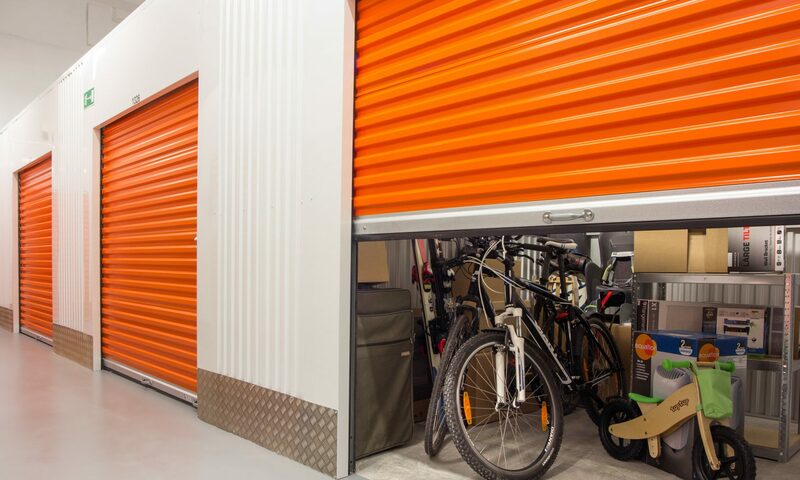 When storing your items in a storage unit, use proper precautions to ward off pests. Spray for insects routinely, ideally monthly, and concentrate spray around the door frame of the unit. Keep bushes, shrubbery and landscaping trimmed and away from your storage unit. Eliminate moisture in and around your unit, and ensure that the storage facility you choose has a drip system in place to prevent pooled rainfall water from becoming stagnant. Partner with a pest professional to inspect your unit on a regular basis. Learn how to take care of insects and bed bugs at Orkin.com. Wash items, such as linen and clothing, at a hot temperature to avoid bringing pests and pest eggs into the unit. Clean your storage unit on a regularly basis and check for signs of pests. Ensure that your unit has a water and air tight seal, as pests can squeeze through cracks as thin as a credit card. Store garbage in a tightly sealed container and dispose of it on a regular basis. Store items in sealed, plastic containers instead of cardboard boxes to prevent rodents from nesting inside. Don’t store live plants or perishable food items in storage units, as these items attract rodents and other pests. Store items on raised pallets to prevent tiny critters from hiding underneath. Wipe away any visible cobwebs as soon as you see them to encourage the spiders to move to a new location — outside. Spray a natural spider repellent throughout the unit, such as a concoction with mint, lemon or anything citrus-based. Keep the storage unit free of dust by vacuuming on a regular basis and declutter to easily spot new spiders. Fill a spray bottle with water and vinegar, and spray cracks and crevices around the unit. Place a few chestnuts around the baseboards to prevent spiders from hanging out there, as these are known to drive spiders away. Ted learned woodworking and plumbing from his handyman father. There aren’t many things he can’t make or fix in a house. Previous PostPrevious Guest Post: Why Bother With All That Stress When a Removals Company Can Help You Out?